In 1987, the Grand Master Wei Chueh built Lin Quan (“Spiritual Spring”) Chan Monastery in response to his disciples’ needs for a place of spiritual cultivation and refuge. With an inimitable aura of calmness, a penetrating mind, and the ability to clearly elucidate the profound wisdom of the Buddha, the Grand Master was instrumental in revitalizing Chan (Chinese Zen) Buddhism in Taiwan. Soon Lin Quan Chan Monastery was too small to accommodate the ever-increasing number of followers eager for his teaching. 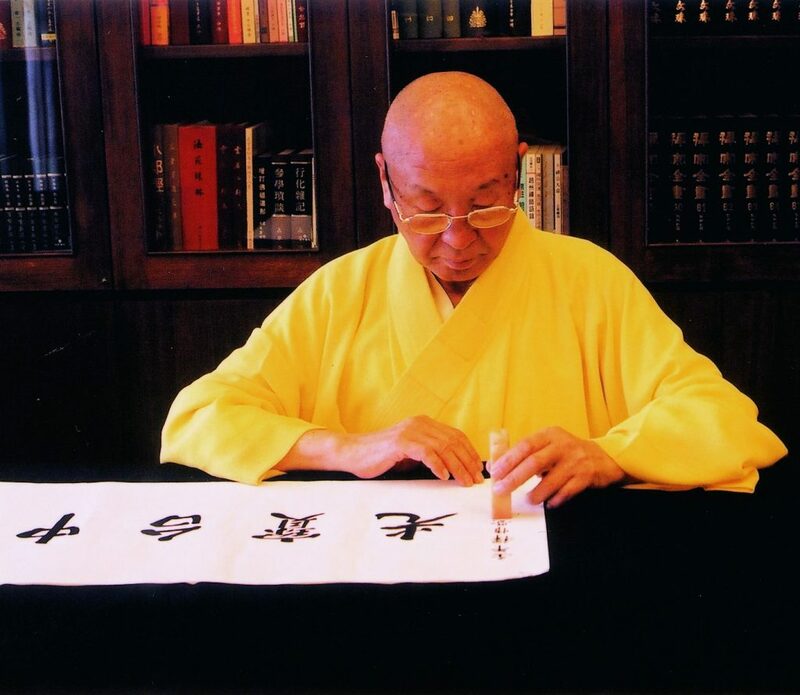 Following the Grand Master’s compassionate vow to provide a complete environment for all who wish to learn the Buddha Dharma (teachings), the design of Chung Tai Chan Monastery began in 1992. After three years of planning and seven years of construction, this landmark building opened its doors on September 1, 2001, initiating a new era for the propagation of Buddhism at Chung Tai. Venerable Wei Chueh was born in Ying Shan, Sichuan Province of China. In his youth he was educated in the Confucian classics and delved deeply into the study of Buddhism. In 1963, he was ordained under Master Lin Yuan at the Great Enlightenment Chan Monastery in Keelung, Taiwan. There he got up before dawn each day to clean the monastery hall and courtyard. While others were resting after lunch, he would remain in the Buddha Hall and prostrate mindfully. In all his daily duties and interactions, he was always devoted, caring, and diligent. The Grand Master, in adhering to the Buddha’s aim to teach the Dharma, to purify the mind of all defilements, and to promote peace, established meditation centers all over Taiwan as well as internationally. He strives tirelessly to carry the message of the Dharma and is frequently invited to lecture at universities and numerous organizations. He conducts 7-day meditation retreats every year to help participants realize the origin of their own mind. In order to preserve the Dharma for future generations, he emphasizes Sangha education and established the Chung Tai Buddhist Institute to nurture knowledgeable and qualified teachers of the Dharma. He also founded the Pu Tai Elementary and Junior High School (with plans to offer education through the twelfth grade) to emphasize respect, compassion, and moral integrity in the education of youth. Following the Grand Master’s guidance from Lin Quan to Chung Tai, the monastery has built a comprehensive and harmonious Sangha of bodhisattvas, and the essence (“mind Dharma”) of the Zen teaching have been deeply planted in the minds of monastic and lay disciples, which we hope will bear fruition in the rest of the world. 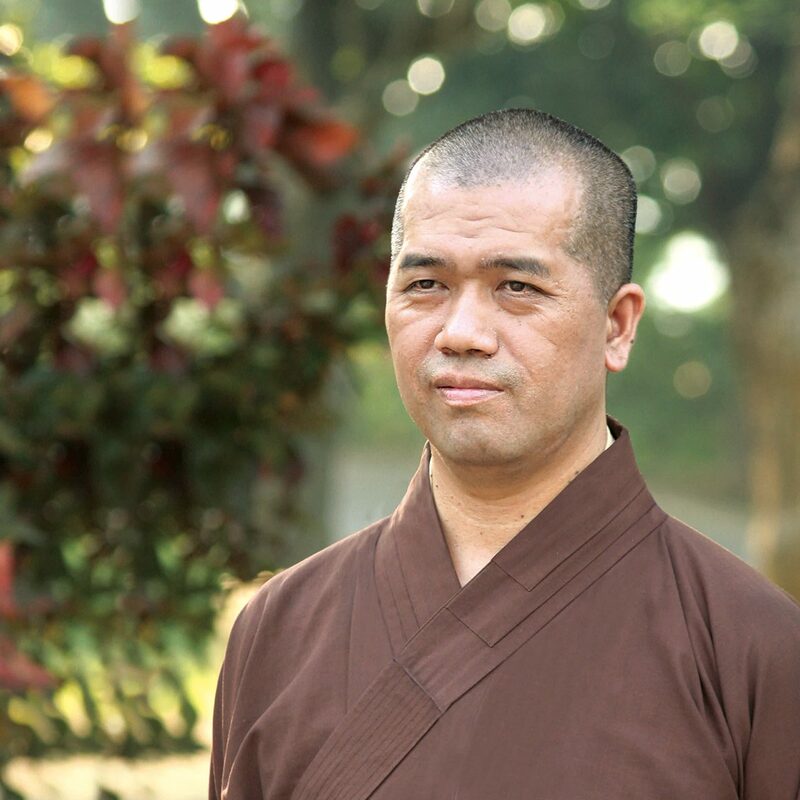 Master Jian Deng continues to uphold the Grand Master’s vows and teaching in leading the monastic and lay disciples of Chung Tai.